As general contractor or design/builder, Rowland & Company Construction fosters partnership, client advocacy, professional collaboration and diversity. These are the core principles behind Building Distinction. With a multi-million dollar bonding capacity and licensure for unlimited project scope and volume throughout the Southeast, Rowland & Company is positioned to deliver projects in all categories of commercial construction within Florida, Georgia and Texas. The majority of our work comes from repeat clients who share our philosophy that buildings are built through teamwork and that relationships are built on trust. 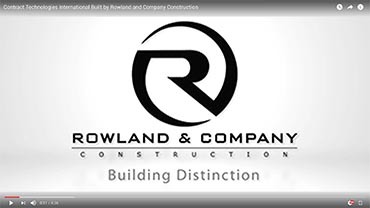 Whether you are a prospective client, project partner or neighbor, we thank you for taking time to learn more about Rowland & Company Construction and how together we are Building Distinction.